Agostino Bonalumi was born on July 10, 1935, in Vimercate, Milan. He was a self-taught painter who took up art after abandoning his formal studies of technical and mechanic design. In 1956 he had his first solo exhibition at the Galleria Totti in Milan. 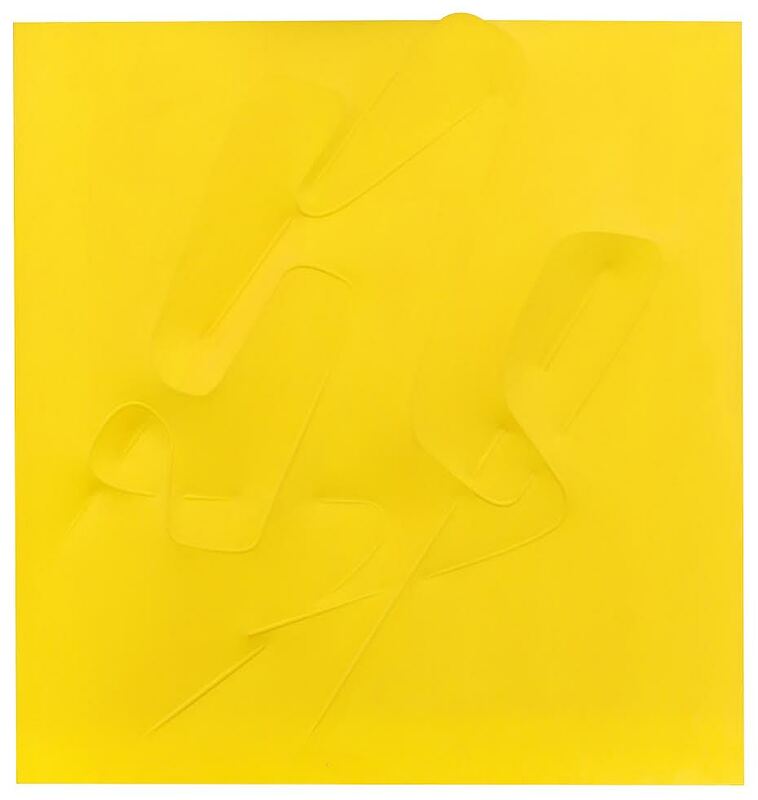 While visiting the studio of painter Enrico Baj, he met Piero Manzoni and Enrico Castellani, with whom he exhibited in Rome, Lausanne, and Milan in 1958. The following year, he founded the journal Azimuth with Castellani and began to frequent Lucio Fontana’s studio, which led him to investigate issues of space and to produce his first ‘estroflessioni’. Bonalumi referred to them as Picture-Objects; they were made from structures and frames, which, when placed at the backs of canvases, caused them to stretch and deform. In the 1960s he turned to environmental objects, or work in which the viewer could actively take part. 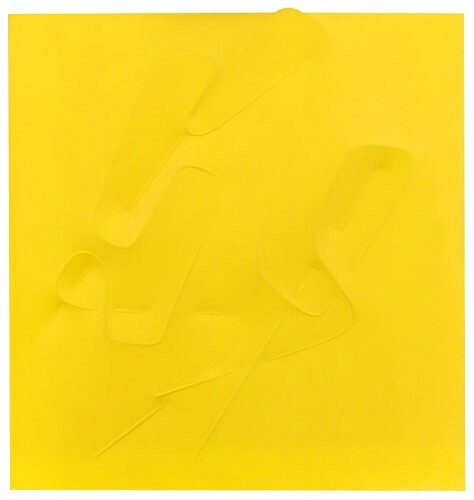 His most important pieces of this type are Blu abitabile (1967), Grande ambiente bianco e nero (1968), and Ambiente pittura dal giallo al bianco e dal bianco al giallo (1979). He participated in the Venice Biennale several times, first in 1966, then in1970 with a room to himself, and again in 1986. In 1980 the Palazzo Te in Mantova mounted a major retrospective of his work, and the following year, Bonalumi joined artists Dorazio, Rotella, and Santomaso in the group show Italian Art: Four Contemporary Directions at the Museum of Art in Fort Lauderdale, Florida. Bonalumi was also involved in set design, and in 1970 he designed both the sets and costumes for Susanna Egri’s ballet Partita, staged at the Teatro Romano of Verona, and in 1972 the scenes and costumes for the ballet Rot, held at the Teatro dell’Opera in Rome. He was awarded the Presidente della Repubblica Prize in 2002, and on this occasion the Accademia Nazionale di S. Luca presented a retrospective of his work at the Palazzo Carpegna, Rome. The same year he took part in the exhibition Themes and Variations at the Peggy Guggenheim Collection in Venice. In 2003 an exhibition of his work took place at the Civica Galleria d’Arte Moderna in Gallarate, and he took part in the show Futuro Italiano at the European Parliament in Brussels during the Italian presidency of the European Union. Most recently, in 2003-04, a solo exhibition of the artist’s work was held at the Institut Mathildenhöe, Darmstadt. Agostino Bonalumi died on September 18, 2013.